Specific details about the Blue Paul Terrier are few. While most Blue Paul Terriers were blue, sometimes with white spots, others had red coats, sometimes with brindle markings. These colored dogs were often called Red Smuts. The drawings that survived show that this breed had short, smooth coats with an athletic, muscular build. While they were a strong and powerful breed, they also had thin legs and a skinny, mid-length tail. Drawings showed straight, tall ears although it is unknown whether their ears were naturally straight, or if they were cropped for style. Like the Bull breeds, they had short, flatter snouts and a broad chest. Like their bodies, their head also displayed an odd expression because of the muscles and how their forehead tended to dip downwards. They were known to be dog aggressive and often fought to the death. Unknown for sure, although due to being bred for fighting, Blue Paul Terriers probably needed a higher amount of exercise. Like Pitbulls and Terriers, they also would have probably needed mental stimulation due to a higher degree of intelligence. With their short, smooth coats, they would not have had to be combed or bathed very often. Most likely, they were only groomed and bathed rarely, when needed. The origin of this dog holds mysterious uncertainty. Rumor has it that this breed was brought to Scotland by a sailor named John Paul Jones. He allegedly arrived back home with this rare breed, bred to fight other dogs. No one knows where these dogs originally derived from, but they were known to be extremely dog aggressive and began to be called Blue Paul Terriers, named after the sailor himself. Many say this breed was popular among Scottish Gypsies who traveled the country and surrounding areas. There are no documents or proof that this rumor is true, and this tale may simply be folklore, passed down through generations. Another rumor states that the Gypsies themselves bred this dog and that they derived from the west coast of Ireland. In this case, the Blue Paul Terrier was expected to be related to the Kerry Blue Terrier and the English Bulldog. Again, this speculation was not supported by written facts and the dates of these known breeds did not line up with the breeding of the Blue Paul Terrier. Drawings of the Blue Paul Terrier also differ from one another, leaving a mystery of where this breed actually descended from. 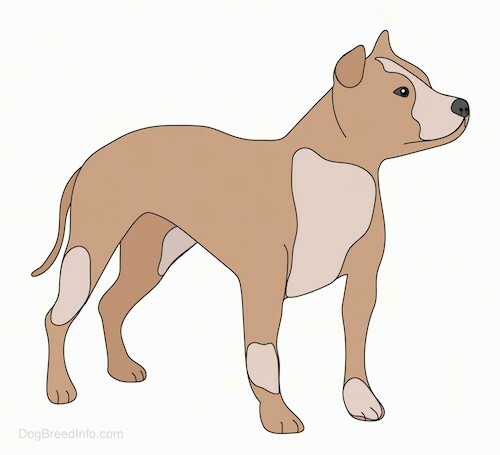 Drawings show a similarity to the Manchester Terrier as well as other Bull breeds. There were also similarities to the Greyhound, especially through the coat coloring. Some also thought the Blue Paul Terrier was related to Collies or Native American breeds. Once again, none of these theories were supported by facts. Yet another popular rumor thought the breed was mixed with a Bulldog and a Terrier. This is because the combination of the strong, compact Bulldog mixed with a fast, slim build of the Terrier made the perfect combination for a fighting dog. Dog fighting was especially popular in the United Kingdom during the mid 1830’s, where this dog was popular. Many say the Blue Paul Terrier was the first dog to America, although that cannot be true. Dogs have been traveling to the Americas since the 1600’s, thanks to British settlers. 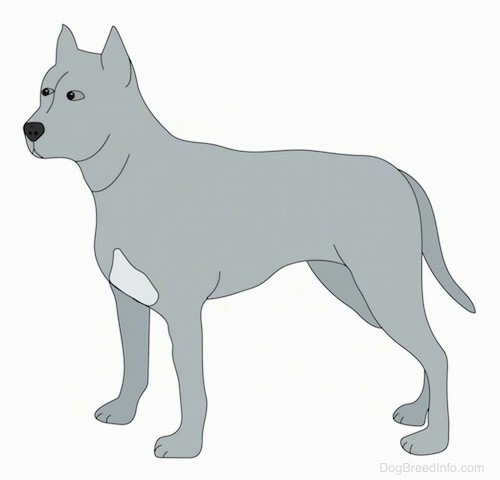 There are no written documents saying this dog has been extinct, therefore many people believe they had been bred with other breeds so often that they simply melted in. Their looks can be seen through the modern dog breeds of American Pitbull Terriers and Staffordshire Bull Terriers.